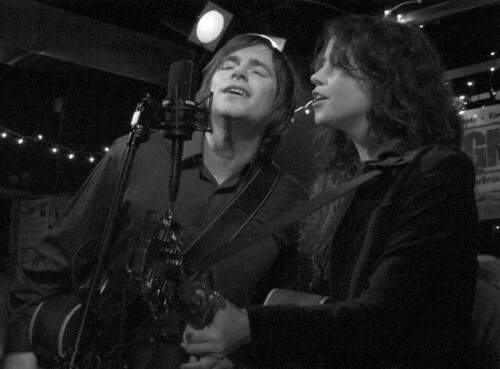 The folk music duo of Sarah Lee and Johnny will be stopping by Union Hall tonight (Nov. 23) for their only local area show. Sarah Lee is the youngest daughter of Arlo Guthrie (and granddaughter of Woody Guthrie), Johnny Irion is a solo musician is in his own right, and he also happens to be married Sarah Lee. Johnny has a pretty new solo record out called Ex Tempore (8/RCAM) which the folks over at Muzzle of Bees seemed to like quite a bit. Like I already mentioned, tonight is there only NYC gig on this tour, so if you’ve gotten over that Turkey hangover, you should really try and check them out. More Sarah Lee and Johnny tour dates after the jump.